Religious people can fail to know God. The Jewish leaders knew the Scriptures and followed religious rituals, but rejected Jesus because they did not know God (John 8:19). Paul described them as “zealous for God, but their zeal is not based on knowledge” (Romans 10:2). People can know about God, but not have a personal knowledge and relationship with God. 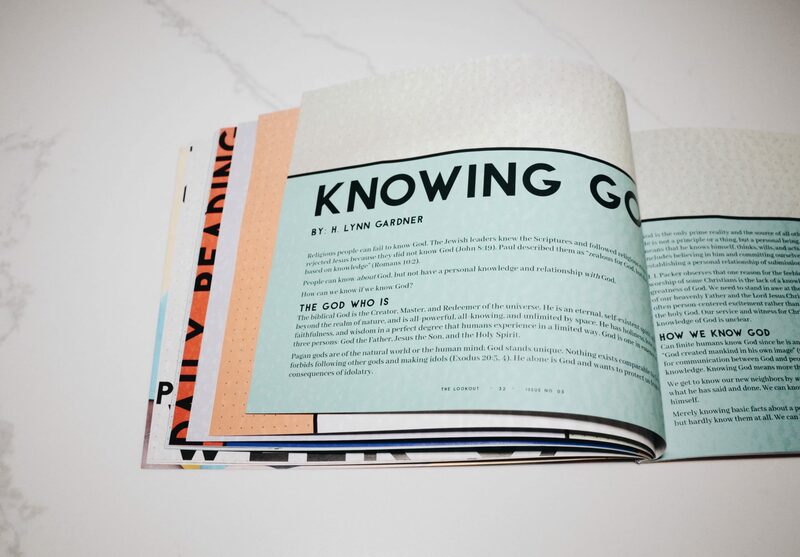 How can we know if we know God? The biblical God is the Creator, Master, and Redeemer of the universe. He is an eternal, self-existent spirit, who exists beyond the realm of nature, and is all-powerful, all-knowing, and unlimited by space. He has holiness, love, mercy, faithfulness, and wisdom in a perfect degree that humans experience in a limited way. God is one in essence and includes three persons: God the Father, Jesus the Son, and the Holy Spirit. Pagan gods are of the natural world or the human mind; God stands unique. Nothing exists comparable to God. God forbids following other gods and making idols (Exodus 20:3, 4). He alone is God and wants to protect us from the evil consequences of idolatry. God is the only prime reality and the source of all other realities. He is not a principle or a thing, but a personal being. Being personal means that he knows himself, thinks, wills, and acts. Knowing God includes believing in him and committing ourselves to him, thus establishing a personal relationship of submission and obedience. J. I. Packer observes that one reason for the feeble faith and flabby worship of some Christians is the lack of a knowledge of the greatness of God. We need to stand in awe at the beauty and majesty of our heavenly Father and the Lord Jesus Christ. Our worship is too often person-centered excitement rather than reverently focused on the holy God. Our service and witness for Christ is weak when our knowledge of God is unclear. Can finite humans know God since he is an infinite spirit? Finite humans can know some things about God because “God created mankind in his own image” (Genesis 1:27). God’s intelligence which he shared with humans is the basis for communication between God and people. God has revealed true knowledge about himself, but not exhaustive knowledge. Knowing God means more than that he exists. We get to know our new neighbors by what they say and do. In the same way, we get to know the person of God through what he has said and done. We can know God because, coming from a realm beyond the universe, he has revealed himself. Knowing God requires humility because God cannot be known by those who will not accept any truth they did not attain themselves. Proud unbelievers become their own god. God wants his creation to know him and has revealed himself in two ways: general revelation and special revelation. In general revelation, the wisdom and greatness of God as Creator and Sustainer is displayed in the created physical world and in human beings. Much evidence exists of an Intelligent Designer: the fine-tuning of the universe in which the fundamental physical constants are delicately balanced to make life possible and the detailed complexity of DNA. Paul speaks of those “who suppress the truth by their wickedness, since what may be known about God is plain to them, because God has made it plain to them. For since the creation of the world God’s invisible qualities—his eternal power and divine nature—have been clearly seen, being understood from what has been made, so that people are without excuse” (Romans 1:18b-20, NIV). “For although they knew God, they neither glorified him as God nor gave thanks to him, but their thinking became futile, and their foolish hearts were darkened” (v. 21). They engaged in all kinds of evil conduct, including hate, ruthlessness, and murder (vv. 26-31). General revelation shows that God does exist, but does not bring one to a personal knowledge of God. Special revelation discloses what God has said and done in history. We can know him because he has revealed his will for all to read in Scripture. God revealed himself in supernatural acts, miracles like the exodus from Egypt and the resurrection of Christ, and explained the meaning of these events. He spoke in personal communication to Moses and the prophets, in writing the Ten Commandments and works inspired by the Holy Spirit (Hebrews 1:1). When we know God, we devote ourselves to wholeheartedly pleasing him. We honor him with worshipful thanks and praise. We surrender to his lordship and obey his commandments. In the most persuasive expression of special revelation, Jesus as God stepped down in human form to reveal God and bring sinful humans into communion with the Holy God. “No one has ever seen God; the only God, who is at the Father’s side, he has made him known” (John 1:18, ESV). Knowing God is the fundamental knowledge that shapes one’s worldview. A worldview identifies what one believes about the origin and nature of the world, the origin and nature of humans, the nature of truth, what determines right and wrong, the meaning of history, and what happens after death.A wrong view of God leads to mistaken views in all these areas. Jesus prayed, “Now this is eternal life: that they know you, the only true God, and Jesus Christ, whom you have sent” (John 17:3, NIV). H. Lynn Gardner is a retired Bible college professor and academic dean and author of Handbook for the Hurting.